Description: 20 fired 50-110 cases. All show head stamp W.R.A. CO over 50-110 EX. The cases remain in the bottom of the original box with the W over 99-5-14. The front face of the box shows the orange 50-110-300 marking over stamping the stainless marking. All of the fired cases remain in excellent condition. 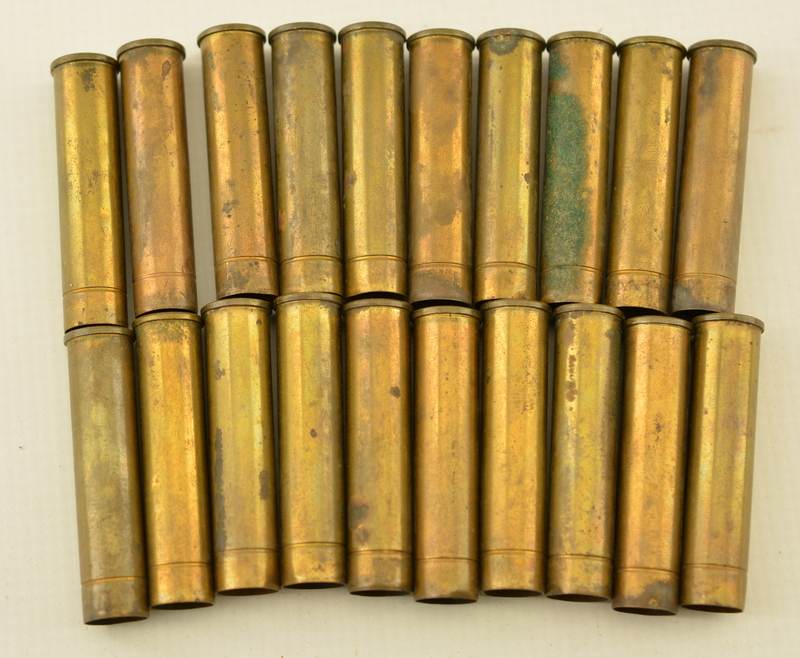 These cases could be professionally reloaded or used as display rounds.